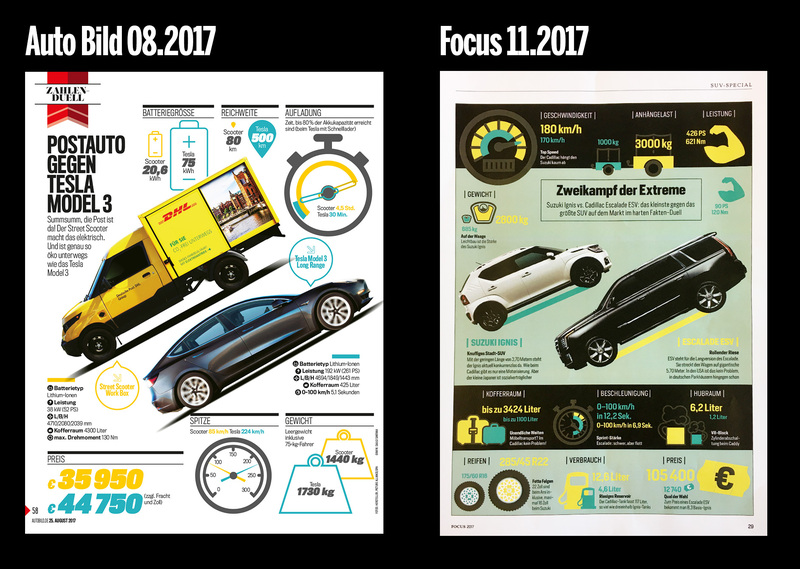 3 months ago, I was invited to the Auto Bild magazine (that I redesigned years ago) to give a refresh in the graphic project of the publication and to develop new elements. One of the new sections we developed was the “numbers duel”, which is published every week in the magazine. This week, Focus, a magazine from Germany, decided to simply copy it.